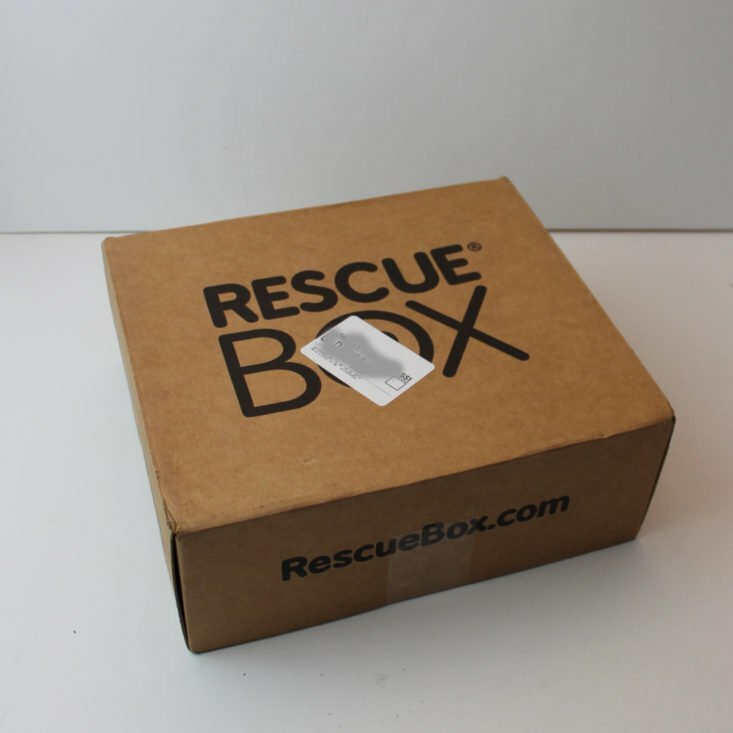 Rescue Box is a subscription box for dogs or cats. For dogs, choose from small (up to 20 pounds), medium (20-50 pounds), and large (50+ pounds). This is a review of the large dog box. For reference, my dog Nyx is an 84-pound Rottweiler. 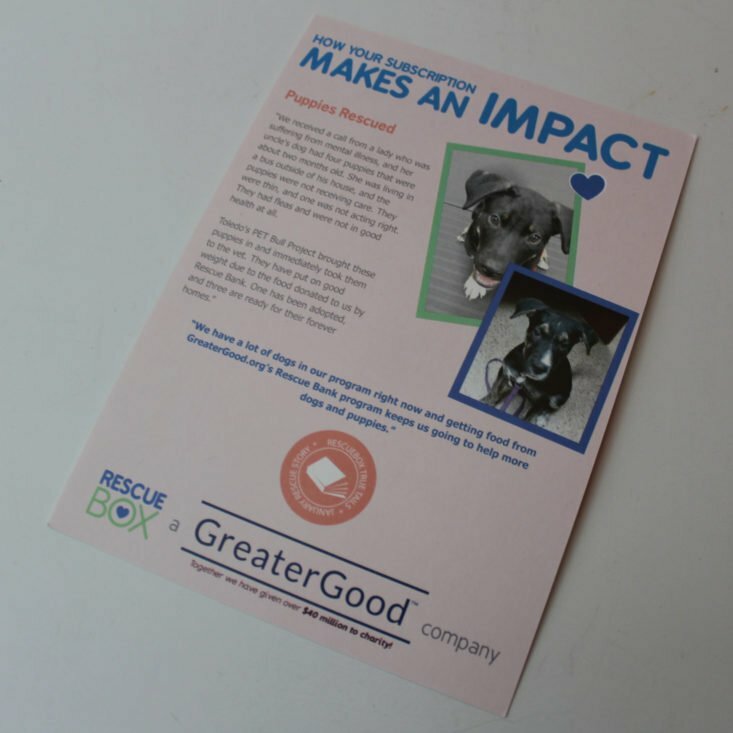 Rescue box is associated with Greater Good (the folks who brought you The Hunger Site, The Animal Rescue Site, and more) and your purchase of a subscription will help provide food and vaccines to shelter pets! Coupon: Use code 50OFF1M to save 50% off your first box! Many months, you’ll receive an information card with details about some of the items and the story of a rescued pet. 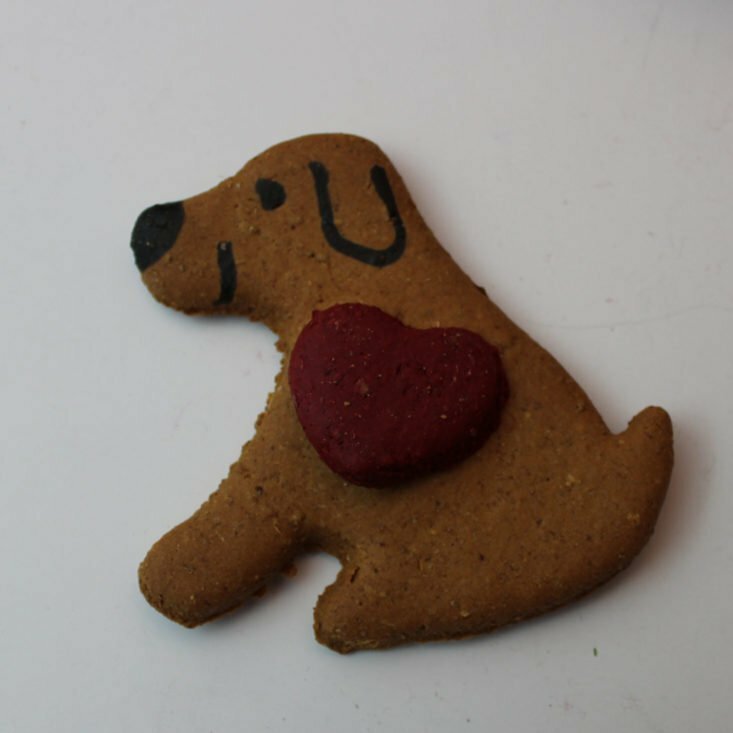 You’ll often receive a themed cookie in RescueBox. This one came with no identifying information, though, including no ingredients list, so I’ll have to pass it along. Without a brand, I can’t really guess at a price, either, because I’ve seen custom dog cookies running from $1.35 to almost $7. Cash and Coop toys seem to be specific to RescueBox, or at least that is the only place I have seen them. This toy did not appear to be particularly durable when I gave it to Nyx, but she’s played with it twice now and hasn’t ripped it to shreds, so it is better made than I initially thought. The rope slides through its arms (without coming out) and we have played a little rough with this one. This came without any kind of tag or label, and the information card did not have a list of items, so I don’t know much about it, either. Nyx enjoyed chewing on it and that’s the main thing. (It’s really too short to play tug with an 85-pound dog using this toy. I have to say, this doesn’t seem like a box for a large dog so much, based on the toys, although I need to remember that the cutoff for most “large” boxes is 50 pounds and there is quite a difference between a 50-pound dog and an 85-pound dog. I could only find this on a wholesale site where you needed a minimum of 4 and they wouldn’t show you the price without a login, or on an Amazon link to other toys in this line but where this toy is not actually one of the offerings. Petlou shows up in other dog subscription boxes, though. This is very soft and Nyx had the stuffing out in a pretty short time, but RescueBox does not promise anything in regards to heavy chewers. Here are some pictures of Nyx with the cupid bear toy. This held up to rough play better than expected. Verdict: I couldn’t calculate a total value for RescueBox this month because I couldn’t find a single one of the items for sale online. I thought everything fit the Valentine’s Day theme pretty well, and I also thought this was a representative month for RescueBox in terms of what you get (Nyx was thrilled there were three toys). I do wish ingredients and a source for the cookie had been included, though. Can you still get this box if you sign up today? Your first box might be a welcome box. It is pretty close to the end of January, and your first box would be received in February. Value Breakdown: This box costs $29.95 + free shipping, which means that each of the 5 items in the box has an average cost of $5.99. Check out my past reviews of Rescue Box or see lots of other great boxes for dogs and cats in the Pet Subscription Box Directory! What do you think of the January 2019 RescueBox dog subscription box? Do you subscribe to any dog or cat boxes?